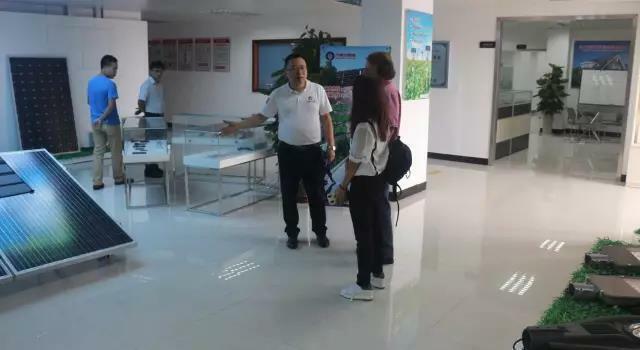 On the morning of June 15,2017, Michel Farine, Dean of the China-EU Clean and Renewable Energy Institute and the National Institute of Advanced Mining in Paris, visited the Jiuzhou Solar Energy Headquarters. 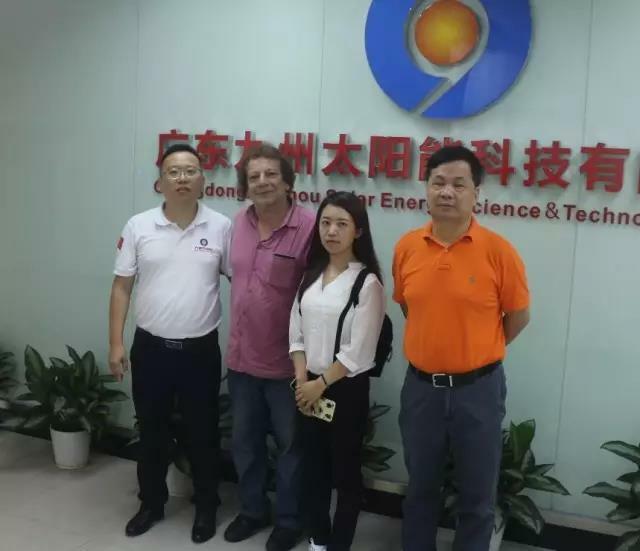 This visit was warmly received by Luo Shixiong, general manager of Jiuzhou Solar Energy,and introduced to Dean Michel Farine the company situation, products and future development direction. 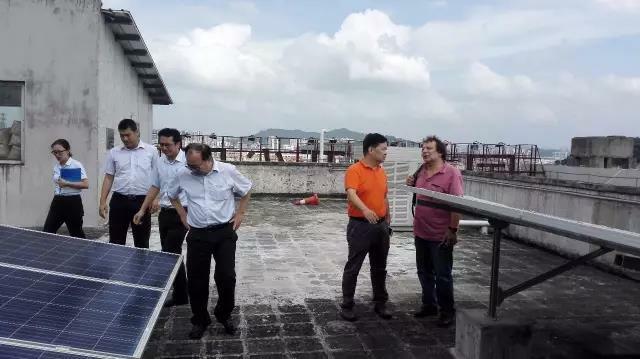 Subsequently, Dean Michel Farine visited the Torch Building, a demonstration project for energy-saving and emission reduction of distributed solar power stations in Jiuzhou Solar Energy Construction, and was received by Zhang Langsheng, general manager of Zhongshan Torch Group Co., Ltd.